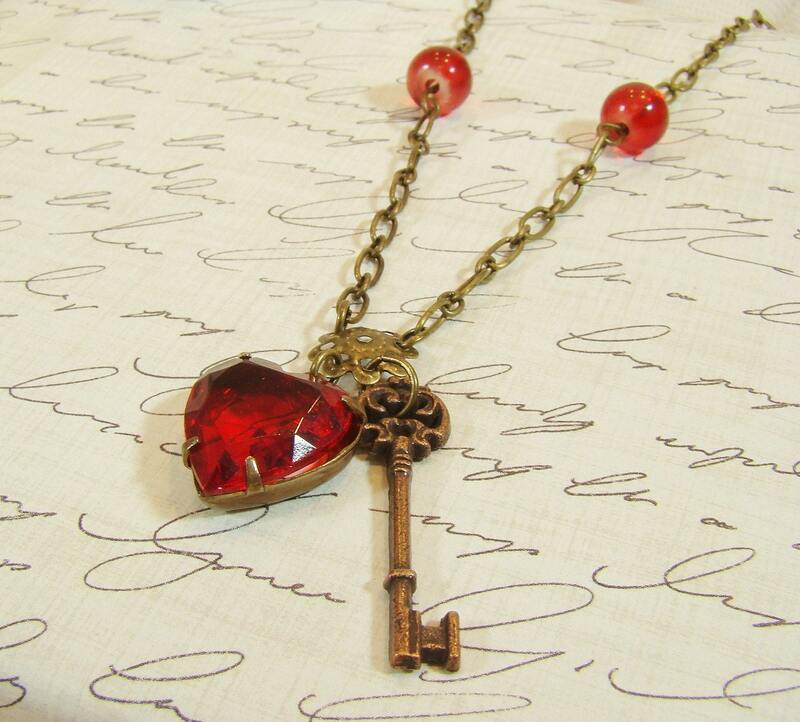 Key to My Heart Vintage Ruby Red Heart with Antiqued Key Charm Necklace. Love is in the air with this statement necklace. The focal point of this necklace is the Vintage Ruby Red Cut Glass Jewel Rhinestone heart with it’s deep garnet red color, the heart is accompanied by a little antique brass filigree heart, both of these dangle form an ornate little filigree medallion. The chain is antique brass with two vintage red glass round beads. 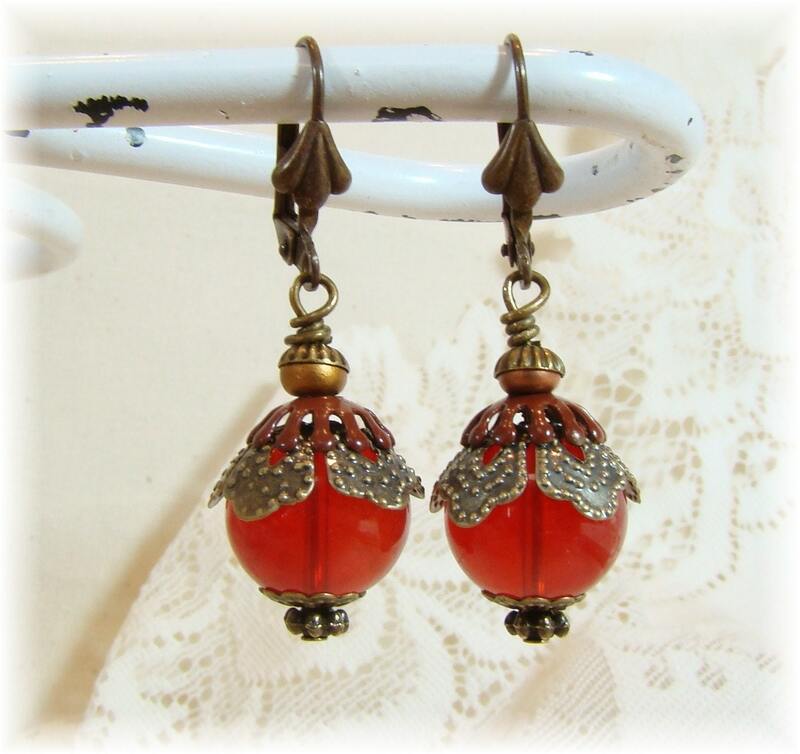 Bing Cherry Vintage Garnet Glass Earrings with Ornate Antiqued Brass Filigree. Elegant handcrafted earrings created with large vintage red garnet glass clear beads, floral antiqued brass filigree bead caps, bronze glass beads and vintage burgundy enameled bead caps. These are hung from ornate oxidized brass lever back ear wires. Ruby Red Rhinestone and White Rose Cabochon Earrings. Just in time for Valentine's Day, these romantic ruby red colored earrings are set with White Rose Cabochons & beautiful vintage style Ruby Red emerald cut Rhinestones. These lovely dangle earrings would make a stunning addition to your holiday wardrobe or as a gift.